Akrobat, von Hand bemahlt, mit Toms Drag logo. Grösse: breit 23 cm, höhe 24 cm. 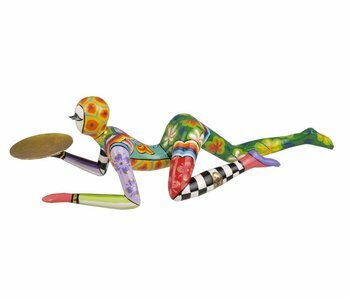 Akrobat Skulptur aus der Circus Collection Toms Company. Von Hand bemahlt, mit Toms Drag logo. Material: Marmorin. Grösse: 25 x 17 cm. Grösse: 23 cm x 22 cm. 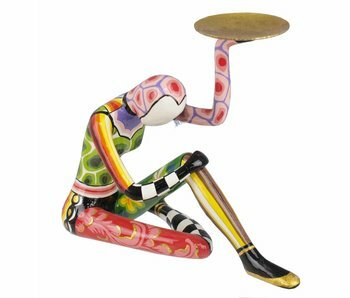 Akrobat Figur aus der Circus Collection Toms Company. Von Hand bemahlt, mit Toms Drag logo. Material: marmorin. Länge 30 cm. Akrobat, Länge 39 cm. Handpainted Toms Drag Figur.